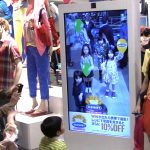 Thanks to emerging technologies such as Bluetooth beacons and Google’s Eddystone platform, the world of digital signage advertising is being slowly transformed from a land of brash animations and loud messaging into one of contextually relevant customer experiences. 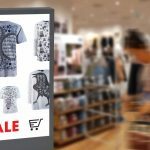 Invading a potential customer’s headspace isn’t going to win your brand any love, but by thinking creatively, employing available data, and using digital signage to educate or entertain, you can make a serious impact with your digital signage. 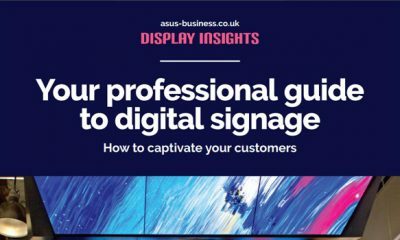 In this post we’ve pulled out a selection of innovative digital signage advertising examples, that take a user-centred approach to designing impactful displays. 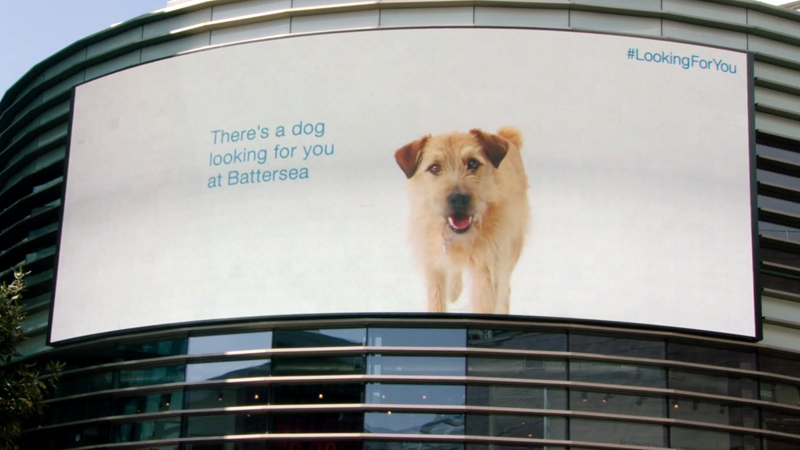 Created by OgilvyOne UK as part of Battersea Dogs & Cats Home #LookingForYou campaign, this digital signage was activated by a tag contained in leaflets, which were being handed directly to shoppers at London’s Westfield Stratford shopping centre. As people holding the leaflets walked past the billboards, an RFID tag activated a video of Barley, a former Battersea dog, who then started following shoppers. 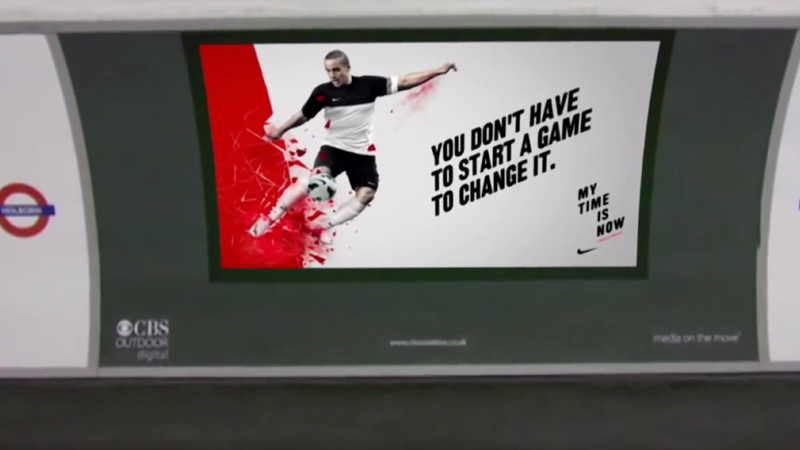 As part of the ‘My Time Is Now’ campaign from Wieden+Kennedy, Grand Visual produced a digital signage campaign that would be able to react to events as they occurred during Euro 2012. As football fever hit England, the screens were able to respond to game highlights, and track England’s progress during the Euro 2012 tournament. 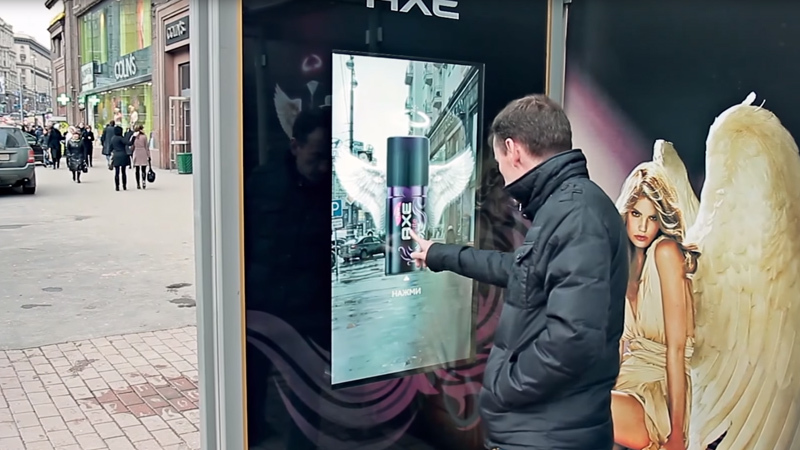 BigBoard Russia and Initiative Media created this campaign for Unilever’s deodorant brand, Axe. 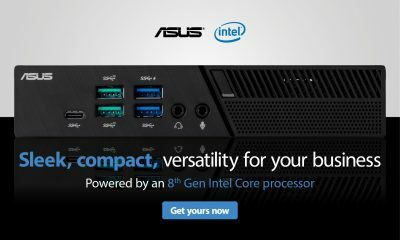 If you’ve seen any of the product’s previous advertising, then it will come as no shock to hear that the campaign’s content may be viewed as sexist by some. 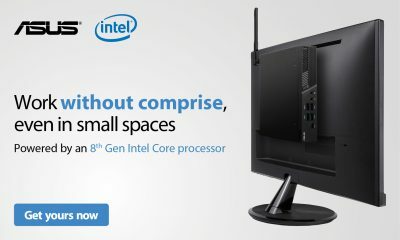 Having said this, the execution is fantastic. 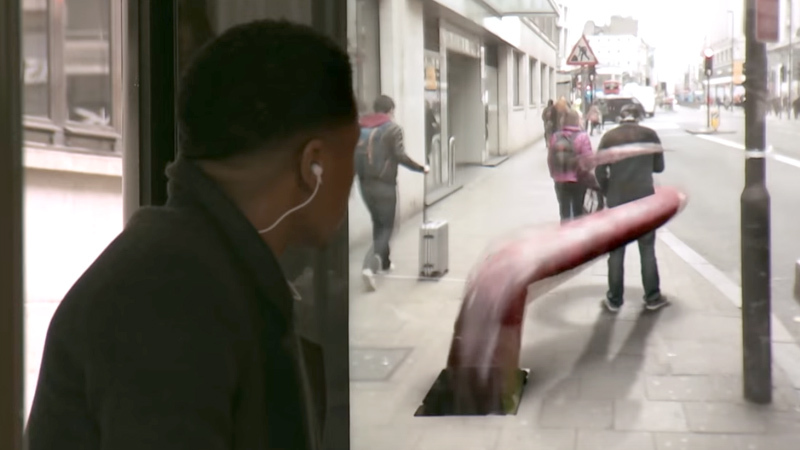 People waiting at bus stops, having touch the can of Axe, were then treated to a piece of augmented reality, which projects a fallen (female) angel onto the screen. 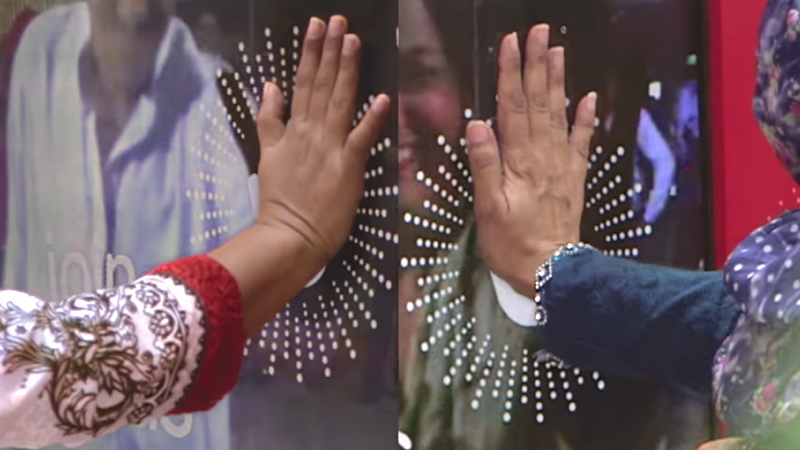 Whatever your views on the part that global brands should try and place in politics, this campaign from Coca-Cola and Leo Burnett Chicago & Sydney had grand ambition. Coke machines were placed in India and Pakistan, and provided a live link between the two nations, where people could interact with one another through the screen. 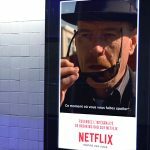 Brought to life by Ogilvy Paris, this campaign for Netflix relied on the humbled animated GIF to attract attention. 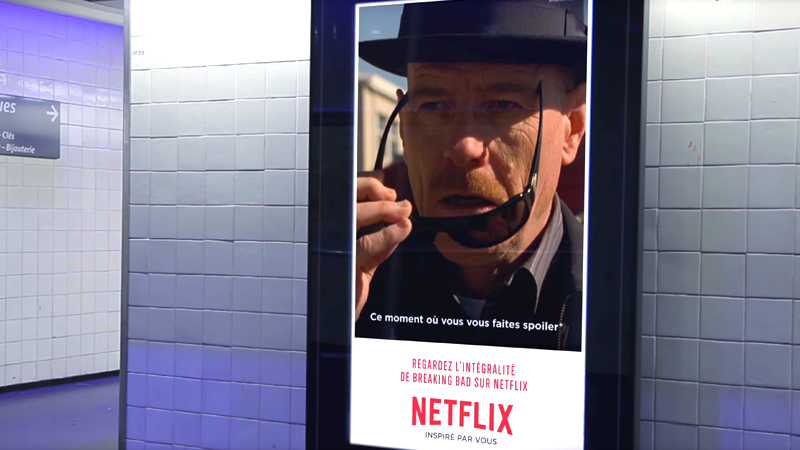 Rather than a longer video clip, Ogilvy Paris opted for reaction-based clips, just a few seconds long, that tied into events that were currently taking place around the globe. 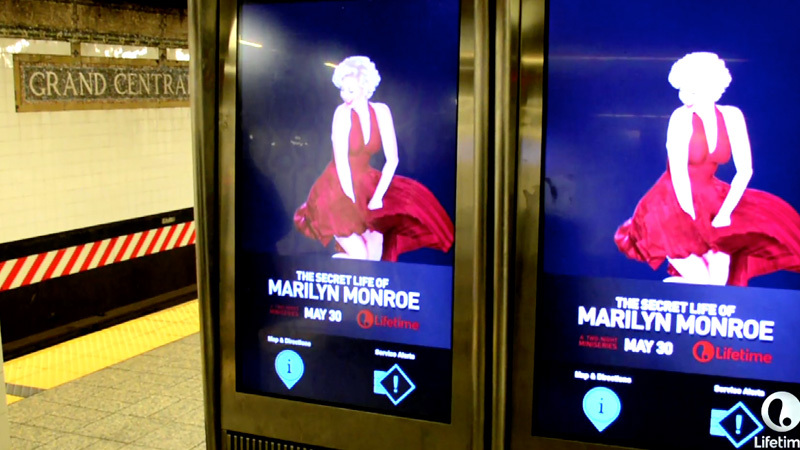 In 2015 the entertainment channel Lifetime took an innovative out-of-home ad trick into the New York subway to promote the miniseries The Secret Life of Marilyn Monroe. Kelli Garner, who starred as Monroe in the series, could be seen re-enacting the famous skirt blowing scene from The Seven Year Itch. But there was more to it than that, because the scene was activated whenever a train arrived or departed a station where the ad was featured, giving the impression that the train’s draft was blowing Garner’s skirt. 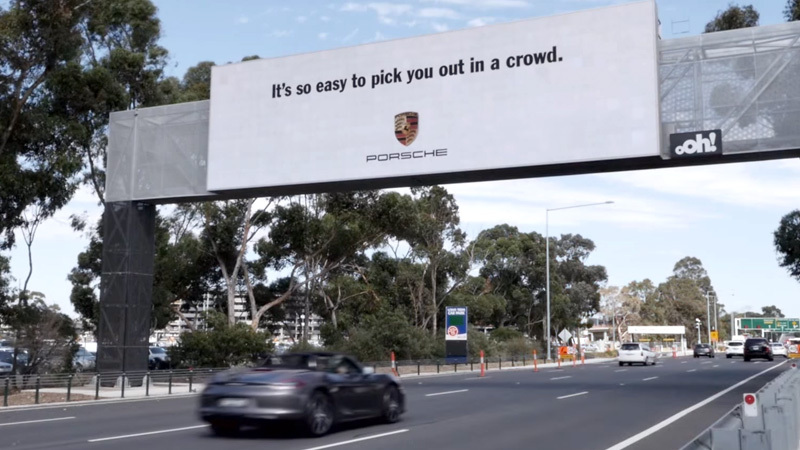 As far as nudge marketing goes, this is a fantastic example from the Melanoma Institute Australia (MIA) and JCDecaux. To persuade people to donate to the charity a piece of digital signage displayed a growing melanoma. However, as people donated money to the charity via a nearby, contactless pay point, the melanoma reduced in size. For owners of a Porsche, when they decide to make a purchase, they aren’t just buying a car, they are buying a lifestyle. And although this lifestyle has been careful cultivated over decades, it never hurts to reinforce the point that—as a Porsche owner—you stand out from the crowd. 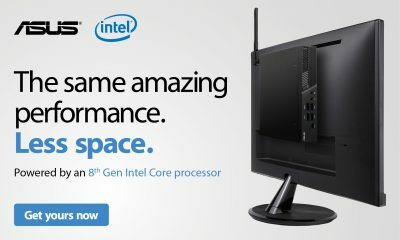 This was the thinking behind this campaign from oOh! Media. 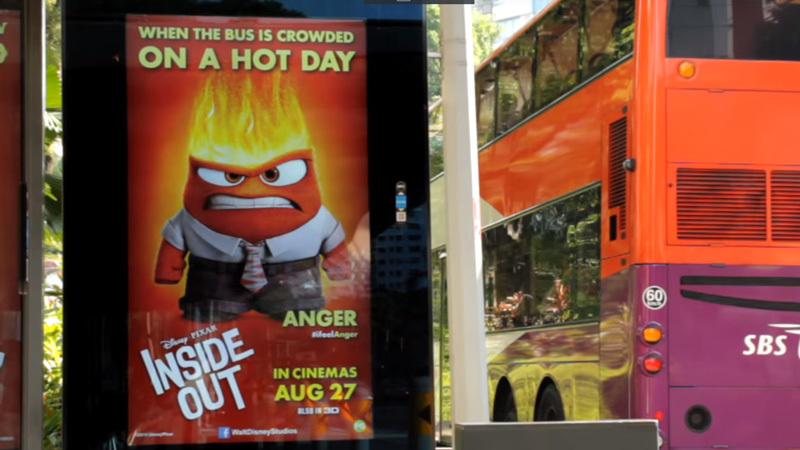 To promote the launch of Disney Pixar’s Inside Out in Singapore, the studio collaborated with Clear Channel and Studious Media to show the effect that the weather can have on your mood. Using local, real-time weather data, the signage displayed a selection of different imagery and messaging to match the conditions. 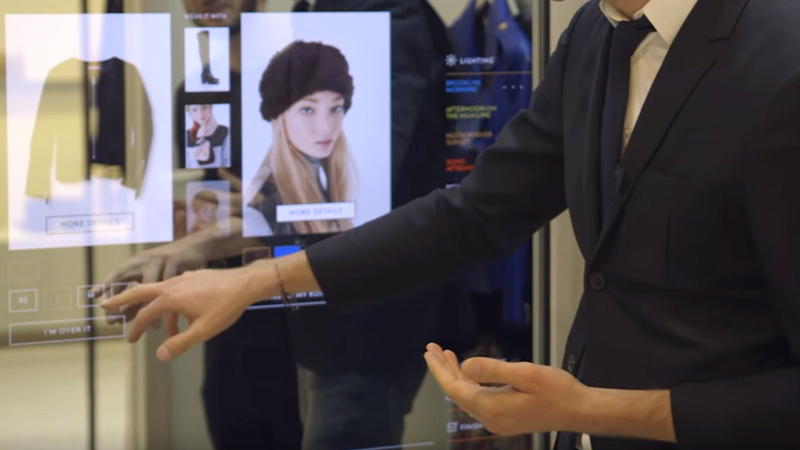 Using “connected glass”, luxury fashion store Rebecca Minkoff enables customers to access a digital catalogue that then follows them around the store. 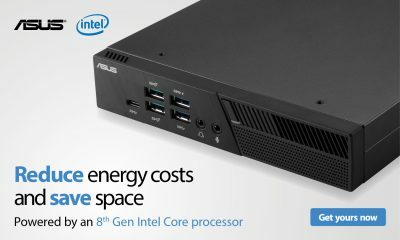 They can even change the ambient lighting in a changing room or order a coffee. 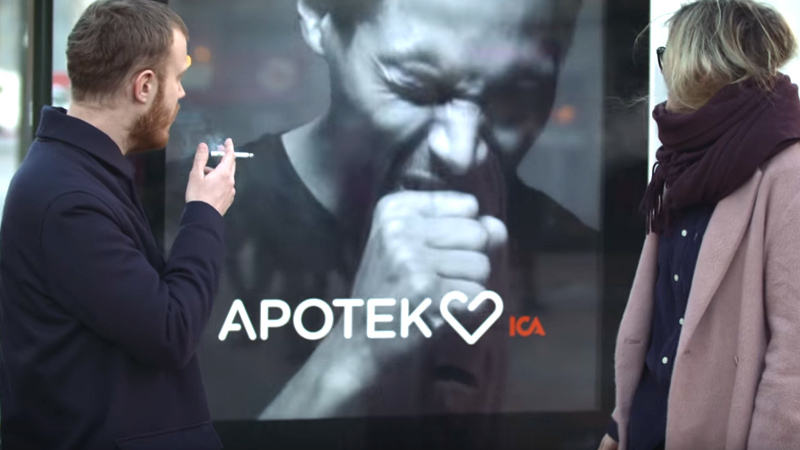 Using a built-in smoke detector, Swedish pharmacy Hjärtat created a controversial billboard that was activated as a smoker passed by, and would then cough loudly at them, before presenting a series of products to help people stop smoking. 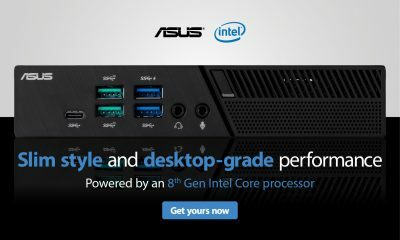 It definitely turned heads, but the jury is out on whether should overt messaging is effective. The less we say about Pepsi’s marketing in 2017 the better, but back in 2014 the company was making all the right moves with its augmented reality bus shelter on New Oxford Street in London. 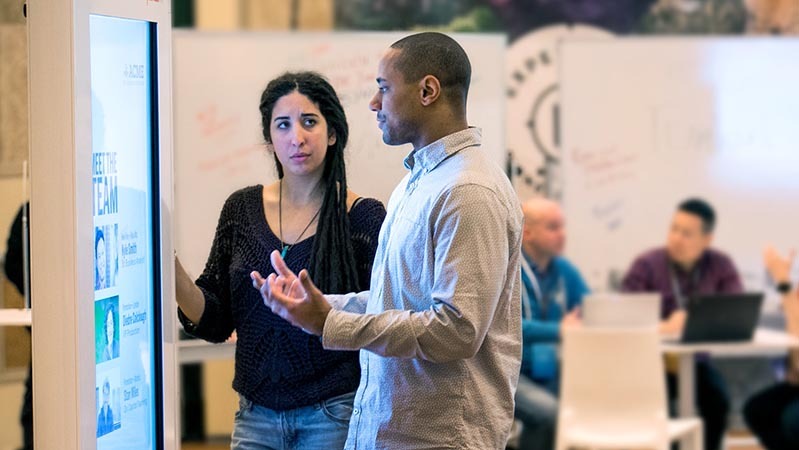 As waiting travellers sat looking through what they thoughts was a clear piece of glass, a series of unbelievable events were brought to live using AR. Quite possibly the greatest piece of digital signage advertising ever created, this ad for British Airways had it all. 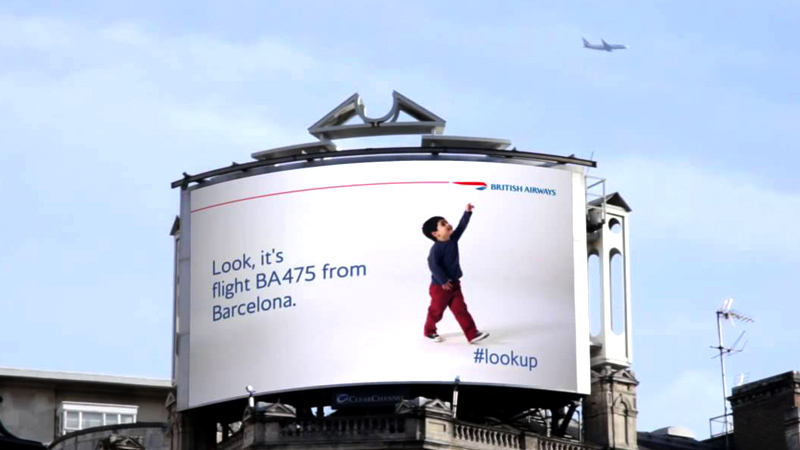 Connecting to live flight information, the advert showed a child pointing up to the sky as a plane flew above him. This was clever in itself, but the advert then displayed the flight number and destination of the plane. 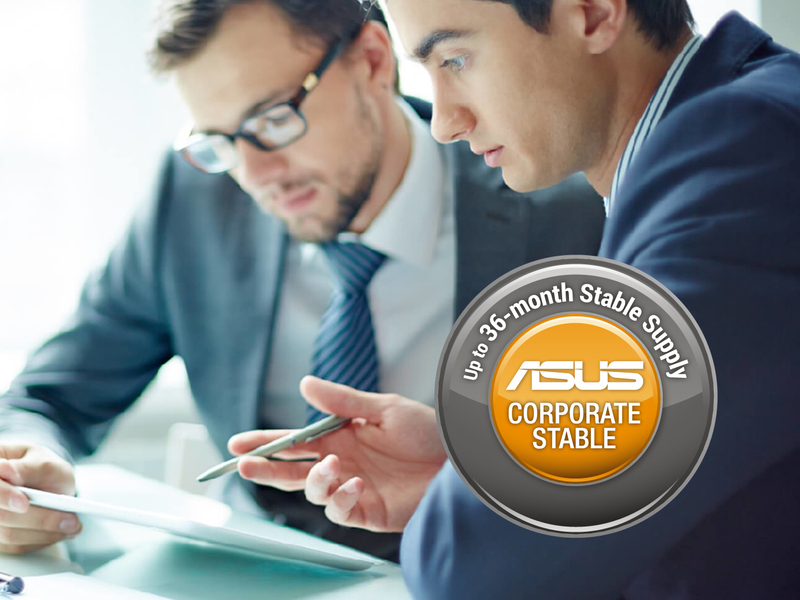 This was the perfect combination of marrying entertainment and education using the latest technologies. 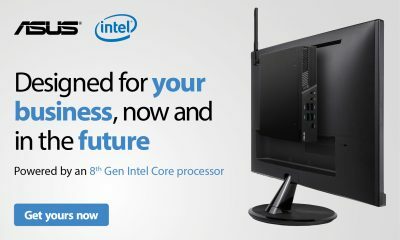 As we’ve already mentioned, digital signage works best when it engages the audience, and a great wqay to do this is to give them control over the ad. 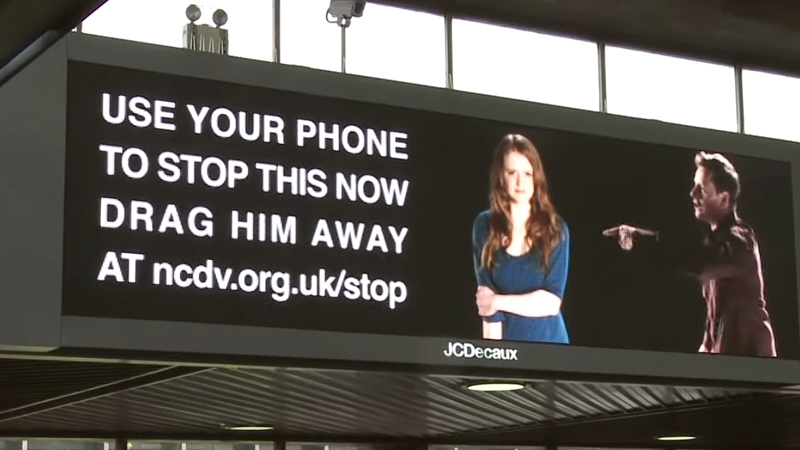 In 2012 The National Centre for Domestic Violence (NCDV) launched an interactive billboard campaign at Euston Station, as part of its ‘Drag Him Away’ campaign. 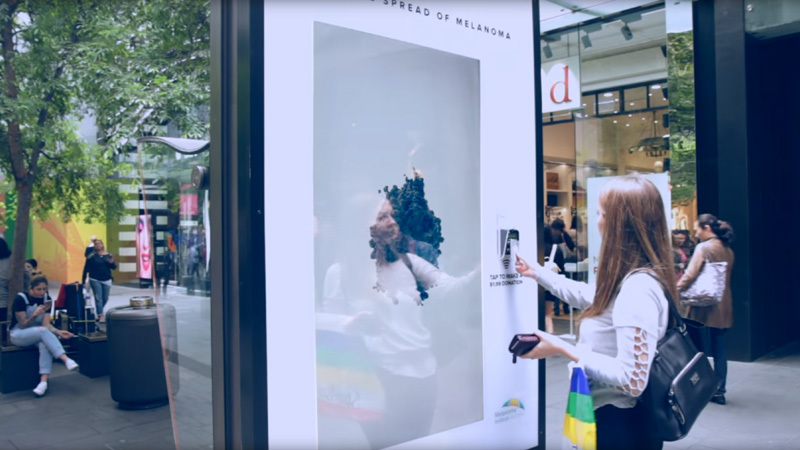 Using an app on their phone, passers-by were able to drag an abusive man across a number of connected displays, revealing messaging along the way. They don’t do things on a small scale in Dubai, and the 2016 ad campaign for The Dubai Aquarium & Underwater Zoo was no different. 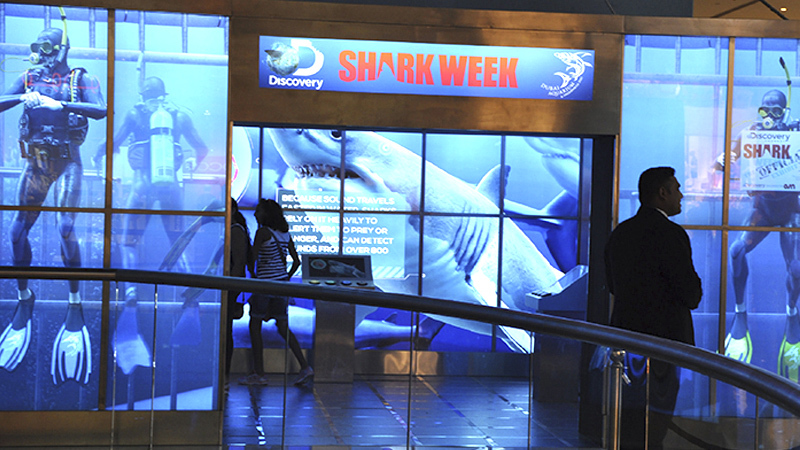 Using 91 screens, a virtual shark experience was created for visitors, who were treated to a virtual experience of swimming among sharks and other dangerous fish, with no water in sight. 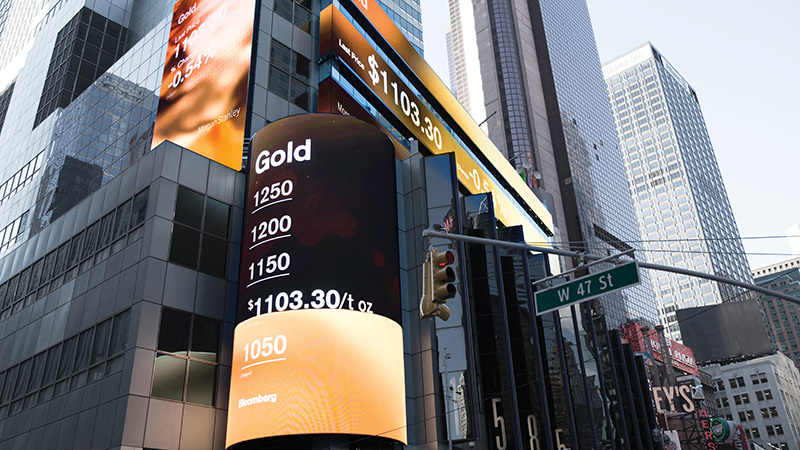 If you’re looking for an implementation of digital signage that makes great use of big data, then look no0 further than Framestore Labs’ Times Square installation for Morgan Stanley. 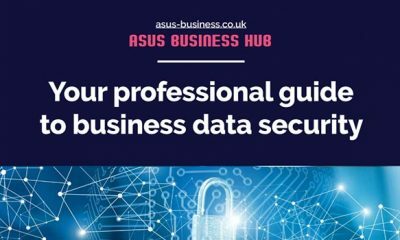 Using a custom-built system, marketers and the company’s creative agency were able to present data via a set of pre-built templates and graphics. 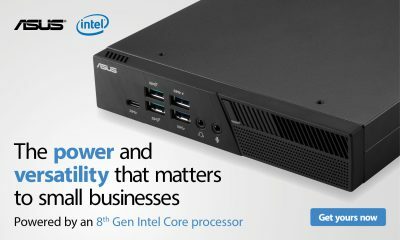 With a custom CMS enabling real-time data to be pushed directly in to Times Square.